Pro Rail Services have designed the specification of our 8×2 Cheesewedge Crane Lorry Loader to allow this bespoke Chieftain twin axle drawbar trailer to be added. This drawbar trailer was designed to accompany the delivery of the RRV trailers as is fitted with a timber deck with rail wheel sleeves. We have ISO fittings installed to carry the portable cabins and stores along with ballast boxes. 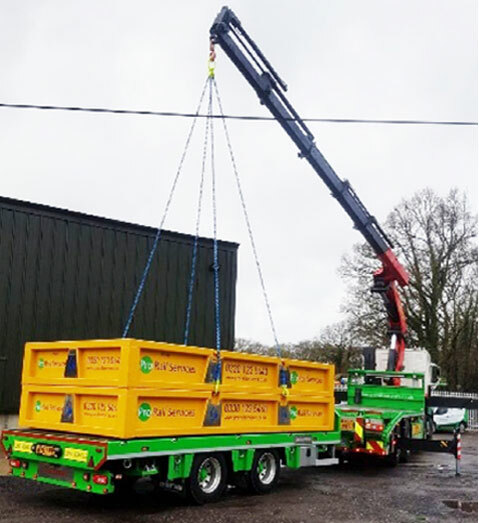 The combination of this trailer and the 8×2 Crane Lorry maximises our capabilities, allowing us to transport large and diverse payloads with ease.